AnySoftKeyboard - On screen keyboard for multiple languages. It currently supports English and Hebrew. · supporting lots of languages via external packages. E.g., English (QWERTY, DVORAK, AZERTY and Colemak), Hebrew, Russian, Arabic, Lao, Bulgarian, Swiss, German, Swedish, Spanish, Catalan, Belorussian, Portuguese, Ukrainian and many more. 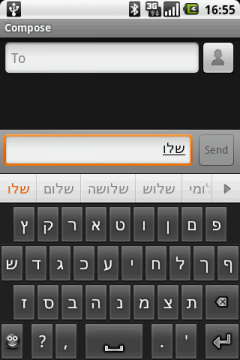 · special keyboard for text fields which require only numbers. · special keyboard for text fields which require email or URI addresses. · Physical keyboard is supported as-well. · User-words editor now supports backup to and restore from SDCARD! · New bottom and top rows. · Some theme related enhancements. · Two new black themes! · Eye candy in the form of animations. · New translations: CA, DE, EL, ES, HU, PL, PT-BR, BE, RU, HY, HE, MY, NL . · Removed the BETA notification. · Word suggestions restart revision. · Translations: CA, EL, ES, FR, IT, LT, PL, PT, pt-BR, tl(fil). · Various bug fixes and crashes. · New addons detection fix. · Words editor crash fix on selected devices. · New translations: EL, PT, HU, ES, MK, HE, CA, IT. · UX changes, e.g., tips, new user activation guide, etc. · User dictionary editor (accessible next to User Dictionary settings). · Several crashes fix (User dictionary, Long-press smiley). · Translations: CA, DE, EL, FR, HU, IT, PT, RU. · A more capable theme support. · Hint characters at the bottom-right corner of the key. · Initial keyboard split/merge state is now configurable. · External themes (skins) support! · Split/Merge keyboard. Use two-fingers gestures separate and pinch to split or merge back current keyboard (works in landscape). · Popup keys offset fix. · Support for really big dictionaries. · New translations: IT, TH, and CA. · Shift erratic behavior fix. · User dictionary saving issue fixed. · Revisited iPhone bottom row. · Ability to replace the generic top and bottom rows. · Sony Ericsson guys: disable RTL handling in Settings->Tweaks. · Some UI changes (tablet related). · And other bug fixes. · New translations (es, fi, ru, ar, he, hu). · New huge English dictionary. · Fixes in physical keyboards mechanism. · Smiley list now support icons. · Backup-Agent support (Android 2.2+). · Better handling of external packs. · Additional physical keyboard improvements. 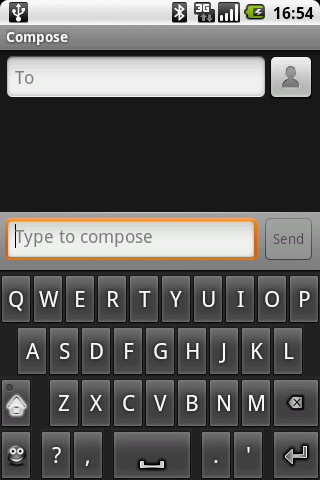 · Quick text key (a.k.a Smiley) is pluginable! · Some improvements to physical keyboard handling. · Sound on key press (if phone is not muted). · Vibrate on key press. · Crashes on Sony Ericsson X10. · All symbols keyboards are cycled. · Backspace in Terminal fixed. Let your inner ballerina come out with our latest creation, FREE PINK KEYBOARD! DOWNLOAD Free Pink Keyboard NOW and enjoy this beautiful and feminine new theme! Our designers came up with a brand new keyboard theme, created especially for you: KEYBOARD DESIGN NEON APP! DOWNLOAD Keyboard Design Neon App NOW and make your display stand-out with an exciting combination of neon colors that will make you enjoy your smartphone even more! Our designer team is ready to present you our latest theme: SWIRLY BRANCH KEYBOARD! We are very excited to present our latest inspirational theme: KEYBOARD HACKER! DOWNLOAD Keyboard Hacker NOW and get ready to amaze everyone with your new binary Matrix inspired keyboard and awesome electric shades of green! We have something brand new for those of you who love updating your smartphone display: BLACK KEYBOARD! DOWNLOAD Black Keyboard NOW and make your smartphone look even smarter! You love to dance? Check out our latest theme released: DANCE FEVER KEYBOARD! DOWNLOAD Dance Fever Keyboard NOW and we guarantee you that you will want to dance every time you pick up the phone or tablet!